Q. Would it be possible for me to take along friend(s) or business partner(s)? A. Yes, this is possible. Do make sure that you individually register the people you will bring with you. Q. Does my age, education background matter? A. No, it doesn't. Our oldest student is 72 years "young" and definitely not computer savvy. Q. 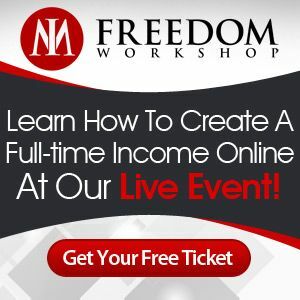 Do I need any experience in order to understand what is being taught at the IM Freedom Workshop? A. No, we will teach you exactly and step by step how to generate a full time income in your spare time. Q. Is this event really free? A. Yes, it is absolutely free to come and learn at this event. A. 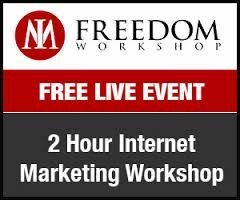 You can, but we will be giving away a FREE Gift, only for those who Register above, it is Free to Register so you have nothing to lose.